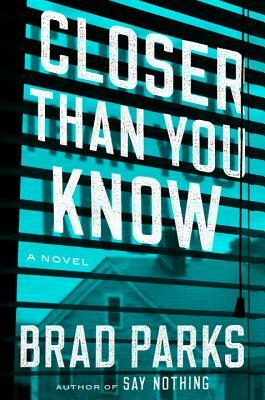 Brad Parks is the only author to have won the Shamus, Nero, and Lefty Awards, three of crime fiction’s most prestigious prizes. A former reporter with The Washington Post and The Star-Ledger (Newark), he lives in Virginia with his wife and two children. His previous novel, Say Nothing, was named both a Library Journal and a Kirkus Best Book of 2017.